I returned to the trails in a big way today. 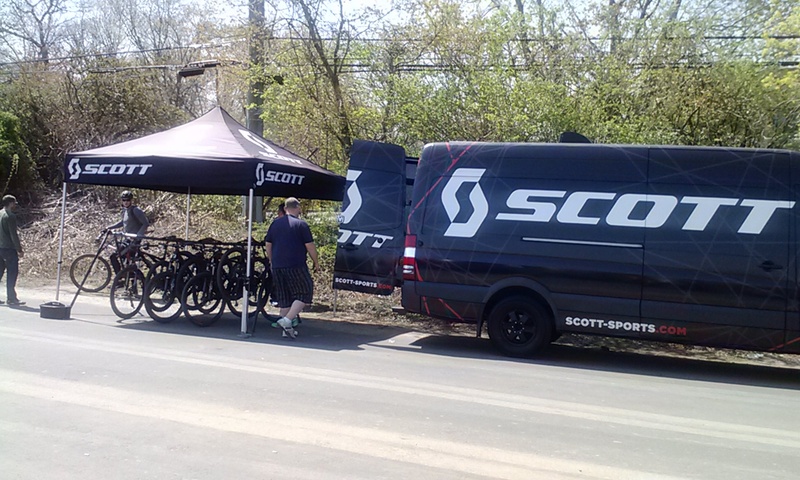 This morning I went over to Stillwell for a run, and saw that Scott Sports was there, hosting an event. Scott, who also has a line of running shoes, was providing people with the opportunity to test their mountain bikes on Stillwell's trails. The Scott folks offered me the chance to try a bike, but I really wanted to get my run in. 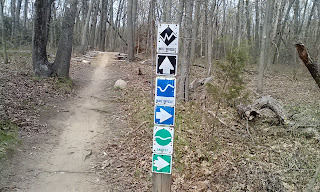 I was concerned that the trails would be packed with novice riders, but that wasn't the case. I saw more bikers than usual, but most were skilled and courteous. Last night I noticed that the Fitbit had recorded over 10,000 steps, but only three staircase equivalents. My son and I decided to knock out a bunch of stair climbs, so we did another 26. Despite some concern that I'd pushed too hard last night, I had no trouble taking on Stillwell's steep sections today. I ended up covering 4.4 miles and appreciated the change of surface after so many recent runs either on the treadmill or on pavement. Later, my son and I returned to Stillwell for another hike. 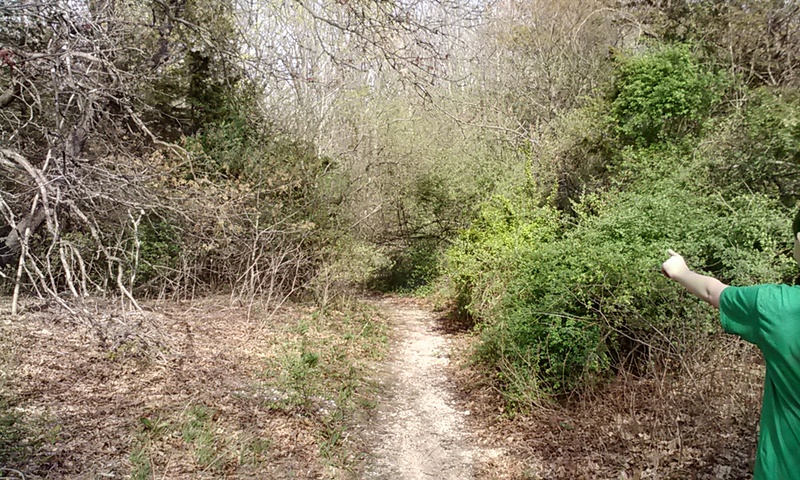 Our goal was to take on Stillwell's toughest trails and to find the elusive Ewok Forest. At every fork, we took the "more difficult" option. We found ourselves so far east that we intersected with the Trailview path toward Cold Spring Harbor. We doubled back from there, taking a circuitous route that involved a few side paths. We finally decided that we'd covered enough ground and headed back to the trail head. When we returned to the car, I checked the Fitbit and saw that we'd covered 4.5 miles, which worked out to 10,200 steps and 23 staircase equivalents. 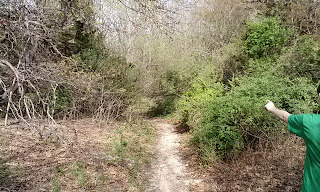 We saw new trails and I introduced my son to the junked car that I always pass as part of my regular running route. We didn't end up taking advantage of the Scott event, but we certainly had a Stillwell workout. Today, that went double for me.